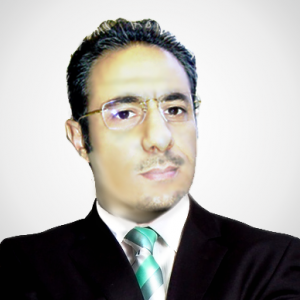 Dr Adel Hejaaji is one of the expertises in business and engineering management. More than 20 years of proven success in management, marketing, business development, and operations. He spent the previous ten years at ESM Global, where he held research, development and training manager position. His disciplinary research interests and areas of expertise are in operations management, project management best practices, industry benchmarking, lean manufacturing, supply chain, process analysis and improvement in manufacturing, as well as design and modelling of agility models in manufacturing, particularly in SMEs. He has published a number of papers and books in different languages. He has also worked with universities and different organisations. Dr Hejaaji is one the Keynote speaker, member of program committees and co-chair in many international conferences. Dr Hejaaji also a member of different professional bodies inside and outside UK. Manufacturing industry today faces a wide variety of challenges. Manufacturing companies around the world are attempting to improve their profitability, reduce business and manufacturing process complexity and gain better business insight in order to stay on top of their industry. Manufacturers must respond to business demands in real-time, make products in response to customer demand and outsource a wide variety of functions. All businesses today operate in a marketplace characterised by change. For manufacturers, the challenge is to become agile in order to ensure a flexible response to changing market conditions. Managing planned change is difficult in itself. However, managing unplanned change demands the ability to react faster and use new strategies to match market conditions, and customer demands in a way that maintains or creates competitive advantage. As manufacturing strategies have evolved, the focus has shifted away from being big and stable with complete control, to being small, nimble and more responsive to the market. This evolution reflects the introduction of new technology, new trends and, in particular, new customer behaviour. Agility is the manufacturer‘s chance to seize the market by responding faster to customer demands. Today‘s manufacturing world leaders are characterised by their ability to deliver the products that customers want with minimum time to market and maximum capability to improve products to meet market and customer expectations. In the smart manufacturing enterprises, all business and operating actions are optimised and fitted to achieve enhanced productivity, sustainability and economic performance, most the enterprises that embrace smart manufacturing are flexible, agile and efficient, they are responsive, collaborative and lean, they are safe, predictive and above all, sustainable. Therefore smart manufacturing enterprises need agility as one of the important improvement tools for handling unanticipated change, that occurring at the early stage of product development cycle, and to be able to face the continuous and unanticipated change to stay competitive in the market place and face these changes and challenges. – The definition of agile manufacturing and it’s important to smart companies. – Agile manufacturing as a one of most needed tools for the smart companies. – Agile manufacturing is more appropriate for implementation in smart companies than the other improvement tools. – How agile manufacturing can be the right paradigm that requires for quick response to customers’ dynamic demands. – How agile manufacturing can be successfully implemented in smart companies.